We offer a spring outdoor community soccer program for children ages 4 to 18 years of age. Our program runs from late April to the end of June. U14 to U18 teams in Provincial playoffs will play into July. 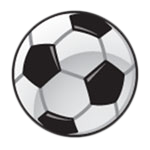 Registration for outdoor soccer is held each February at the community hall. You must be a community league member to register for outdoor soccer. Outdoor soccer registration for 2018 is now available online. If you have any questions, please contact the Soccer Director (soccer@yellowbirdcl.com). Under 4 (Mighty Mites), Under 6, Under 8, and Under 10 teams will play within the Kaskitayo group of communities, which include Blue Quill, Yellowbird, Twin Brooks and Ermineskin, and the Heritage Valley District that includes Heritage Pointe, Blackmud Creek, and surrounding communities. This allows players to play closer to home and keeps the fees affordable. Players in the Under 12 to Under 18 categories will play within the South-West Edmonton Minor Soccer Association (SWEMSA) and City Wide. Fees for all ages for the Yellowbird Community include an individual and team photo. Players from the Under 8 to the Under 18 age groups who are interested in a higher level of commitment may try out for the Southwest Sting Program, operated through SWEMSA. It is recommended that you also register with the Yellowbird community program to ensure placement on a community team if the player is unable to secure a position on a club team.